The Base was built to house and support business start-ups and small SMEs involved in advanced manufacturing and engineering, and specifically in Industry 4.0. Industry 4.0 “the fourth industrial revolution, is the use of automation and data exchange in manufacturing technologies. Industry 4.0 creates what has been called a “smart factory””. 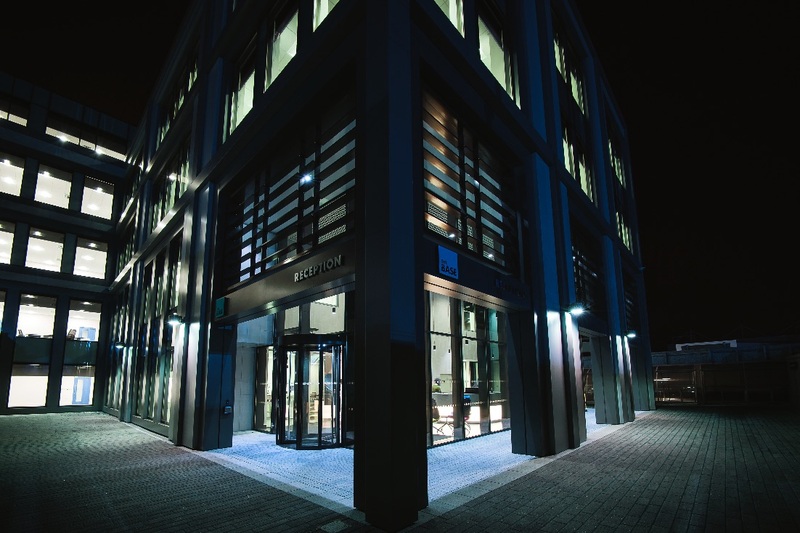 The Base, opened in January 2016, offers grade A office space with 53 offices and hot desks and on site business support. It is strategically located next door to the new Warrington University Technical College which opened in September, providing potential collaboration in skills, ideas and technology. The Base is part of an ambitious 10 year, £190M regeneration plan, working with the Warrington Borough Council and partly funded by European Regional Development Fund. The area will include other multi occupancy buildings, two single occupancy buildings as well as recreational areas. By the end of 2024, there will be accommodation for some 5000 employees in start-ups, SMEs and corporate businesses. With a convenient Manchester to Liverpool main railway line nearby, the new business district is expected to attract businesses from around the Northwest. The Borough Council is also investing a further £108M to give Warrington City Centre more of a “5 o’clock culture”. People will be able to socialise there after work in a purpose built, relaxing environment. The Base is beautifully presented. It is great to see the area being regenerated. Even more heartening is the fact that science and technology is being specifically catered for.